Calm waves roll in over a shallow limestone beach. Blue sea and sunny weather. The horizon is visible in the upper part. 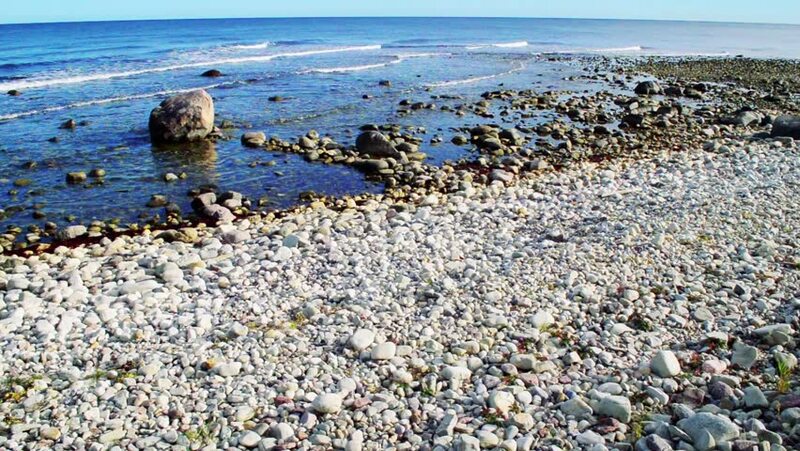 Lots of limestone pebbles on the coastline. Baltic sea, Oland, Sweden. hd00:19Pan across a vast cultivated field of growing cotton the is ready to be harvested. hd00:26HD video of many sandpipers gathered in shallow water along the coast of California. hd00:35Waves crashing on seashore. Selective focus.